I was just trying to find out how to separate egg yolks and egg whites most effectively. The online video I was watching has a nice recommendation on how to do that. Looks pretty sweet. I recommend it. Suddenly, however, a little pop-up ad appeared (thank you, Google). It asked me whether or not the Republican Party should oppose President Obama's efforts to impose gun control on American citizens. Well, I clicked "No." I wanted to see what the vote was. I was supposed to get to see the vote. I didn't get to see the vote. Instead, I got the most fear-filled pitch I have heard for a long time, predicting the imminent and total collapse of civilization in the United States. Try this website, to see if you get the same pitch. 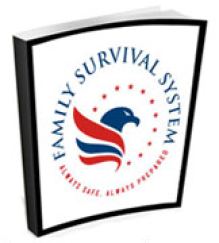 The ultimate ambition is to sell you the Frank Mitchell "Family Survival System." That's a book that tells you how to defend your family in the Hobbesian world that is inevitably coming (according to Frank Mitchell, anyway). Mr. Mitchell's fear-filled "pitch" is probably taken seriously by many. It's a disturbing insight into what many people probably think about the state of our society, and where we are headed. I am not too sanguine about the future, myself, but I don't think that our economic and social problems will best be addressed by every family individually preparing to fight for their family survival against the very people who were their neighbors and friends, just yesterday. 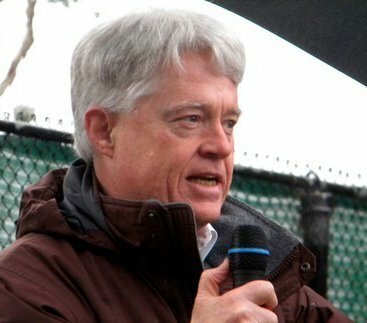 But that's what Mr. Mitchell recommends, and he presents himself as "a military officer who holds over 60 Federal Emergency Management Agency (FEMA) certifications, which means he has been trained on everything that can happen during a crisis, and he knows how to respond to disaster in order to survive." If we want to survive the disasters that are coming, we need to work together, not prepare to kill each other off. With credentials like ""a military officer who holds over 60 Federal Emergency Management Agency (FEMA) certifications," I wouldn't expect anything else! It's interesting to note that in real disasters, people in general immediately work very hard to help each other. At the outset of the Exxon Valdez oil spill in Prince William Sound, Alaska, locals were the first on the scene to clean up the spilled oil and preserve sensitive habitats, long before Exxon, the Coast Guard or the US government began to even think of a response. Local self-reliance is far more effective response to disaster than any centralized, authoritarian organization.